I have updated my profile! Hi, everybody. I just wanted to share my happiness! Thanks to Ebay I finally managed to track down the last expansions I was desperately looking for (Crop Circles I and the Tunnel). 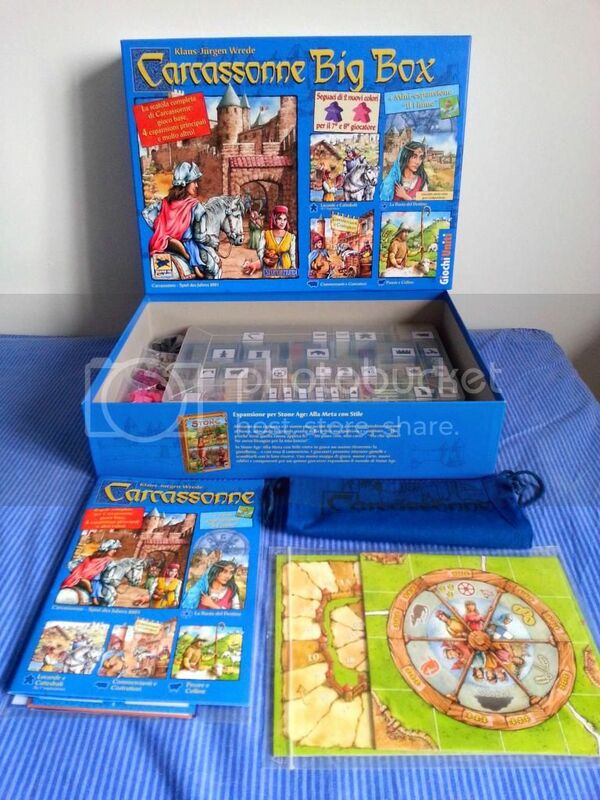 This is now my final Carcassonne collection, for up to 8 players! Re: I finally completed my Carc collection! This is great news, another Carcompletionist - unfortunately, none of your photos loaded Would love to see it! do you still have the file with the images on the dividers? I would love to use some of them! ha, SRBO beat me to it. I think your collection looks very tidy and I love the icons you're using too; where did you find them? I found and edited some of the internet. 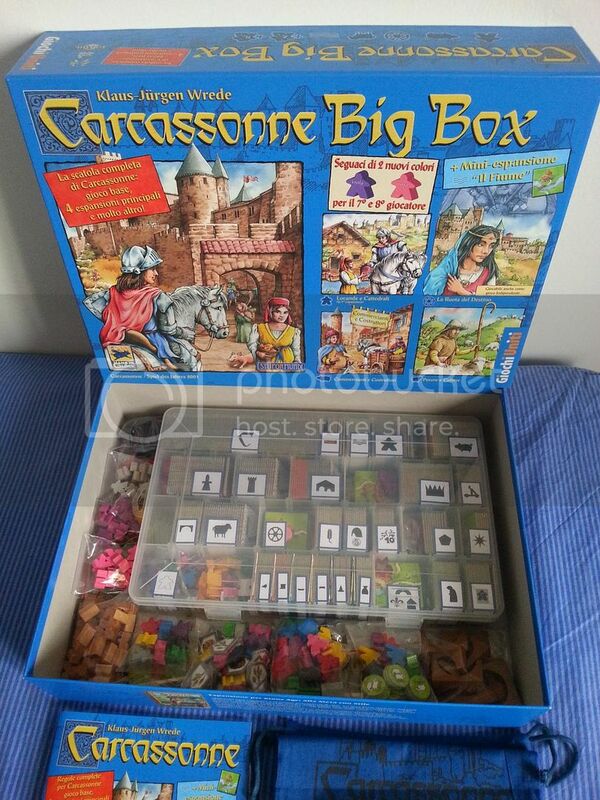 Most of the icons are available on BGG (here: https://boardgamegeek.com/filepage/87040/carcassonne-icons-and-logos-mostly-vector). 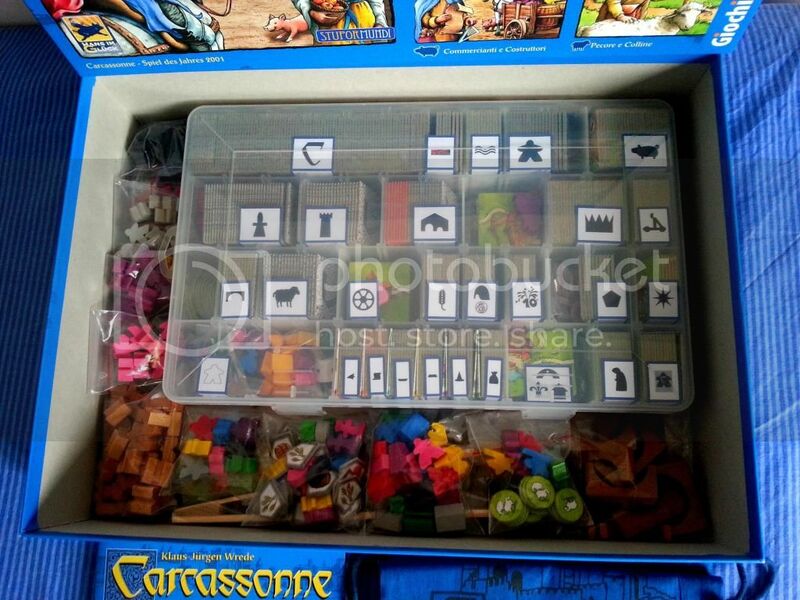 The only icons missing were those for the new River, Darmstadt, the Phantom and the Halflings, which I made myself. Thanks a lot; these are really cool. I'm going blind; where are your halflings tucked away? Ah yeah with the cundco logo! Thank you very much! merit for you! Congratulations! Now you just have to keep it complete! That box must be super heavy!